El Poblado is known to be the most wealthiest neighborhood in the Aburra Valley. The name “Aburrá” comes from an ancient language spoken here by the “Aburreans” (Aburraes) before the Spaniards settled during the 16th century. It is said that the Spaniards had already visited the Aburra Valley in 1541 when Spanish Officials arrived there for the first time. After not finding any gold or silver they decided to leave the valley that, back then, had a lot of indigenous people living in it. Nothing else happened for 75 years until 1616 when the natives founded the town called San Lorenzo de Aburra, today known as El Poblado. 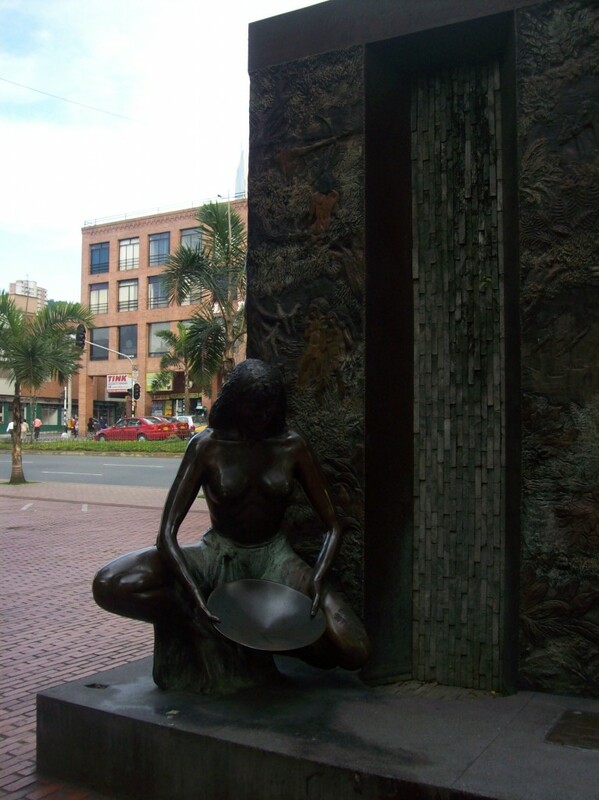 You can still see some of the things that show how El Poblado was back in those days by looking at sculptures like the one in the Poblado Park called “El Primer Poblado” which translates to The First Poblado. Here you can observe in detail the bronze, concrete and copper sculptor made by Luz Maria Piedrahita, The statue was installed in 1997 and it features the human figure of a half-naked woman working with gold, You can also see several settlers as well as several indigenous people, beautiful vegetation with different type of animals such as frogs, lizards and horses. There is also what appears to be a monk, a large sailing ship, and another Indian with a bow and arrow ready to be launched. The statue was originally placed facing the San Jose Church but after a dispute with residents of the area it was moved and is now looking into the park area. 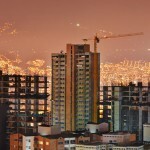 Medellin is moving into a more modern era and many parts of the city have received or are receiving a face lift. El Poblado is a neighborhood whose skyline is constantly changing. One of the most iconic areas in El Poblado is the “Golden Mile”. This mile long stretch of road along Avenida Poblado features beauty of architectural and urban area, with buildings that are real works of art, shopping venues, office buildings, a hospital, gardens, a park and restaurants. El Poblado also has its own park square called Parque Poblado. The park is a nice break in the middle of the hustle and bustle of the city. Parque Poblado is a nice place to sit, chat with friends, drink a beer and relax. Near the Poblado Park there are places like the Germain Street Food which brings a taste of Europe to the streets of Medellin, like the traditional Currywurst in Germany, and the Doner Kebab of Turkish origins yet with a long tradition in Europe, and let’s not forget about the classic burger. All of their products, sausages, meats and sauces are specially made by them making it a more unique taste which will have you going back for more. If you are not looking to eat but instead want to go have a cup of coffee or listen to some music instead then there is some great places that you can visit, Tinto Tintero is one of them because is a great place for art lovers, the literature, music and philosophy that you can find there makes it a perfect place to learn and share all types of knowledge. Many interesting people attend this lounge, in the past there has being gatherings of foreigners in those places, is a great place to go and meet new people that you normally would not meet other wise. It also enables its customers to enjoy the library, bar service and restaurant space. It also offers an interesting program for learning and promoting culture. All this provides Tinto Tintero with an ideal climate to have fun, learn and relax. El Poblado also has a Metro station, which allows for easy access in and out of the neighborhood. Although it has 4 ticket booths, at rush hour the lines get pretty long. 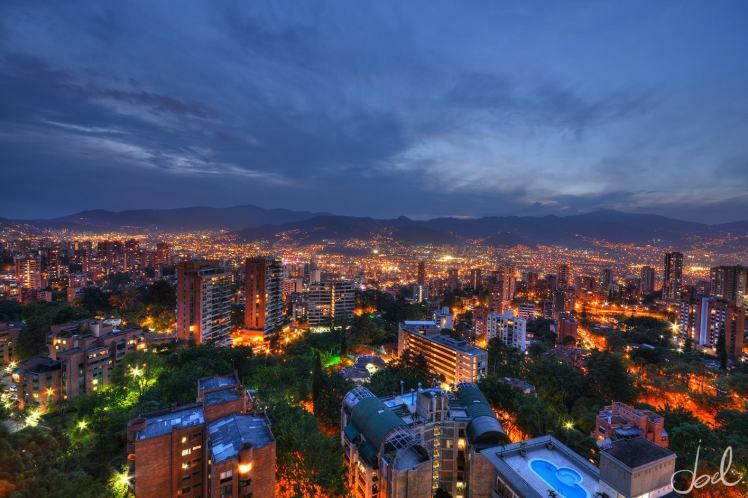 Parque Lleras is the heart of Medellin’s Zona Rosa in the upscale El Poblado neighborhood. It is a popular meeting point in El Poblado for young people, executives and tourists. With exclusive shops, renowned designer stores trendy cafes, bars, nightclubs and restaurants, Calle 9 and Calle 10 are two of the streets with the highest amount of tourism, mainly because of the nightlife. El Poblado is well known for its natural scenery since a big part of the neighborhood still has its original green areas. You can walk comfortably through the new and improved public spaces, green areas and well-equipped bus stops. When it comes to safety, El Poblado is probably the wealthiest and safest neighborhood, With a close proximity to the city center, the neighborhood has a large police presence that is constantly monitoring and driving down the streets in their very fast motorcycles. El Poblado is one of the most secure neighborhoods in the country, thanks to the high law enforcement presence the area is known for being one of the safest. There are some great landmarks to visit in El Poblado, they are open to the public and they are easy to get to. One of Medellin’s architectural jewels is el Museo El Castillo, The Castle Museum is one of the more well known museums in Medellín and is located in El Poblado. The Museo El Castillo has architecture which is appropriate for its present purpose, a shelter for fine art and antiquities. It was built in 1930 by architect Nel Rodríguez. it was designed in Gothic European Middle Age style inspired by the castles of Loire, France. Its first resident was José Tobón Uribe who brought the plans from France. 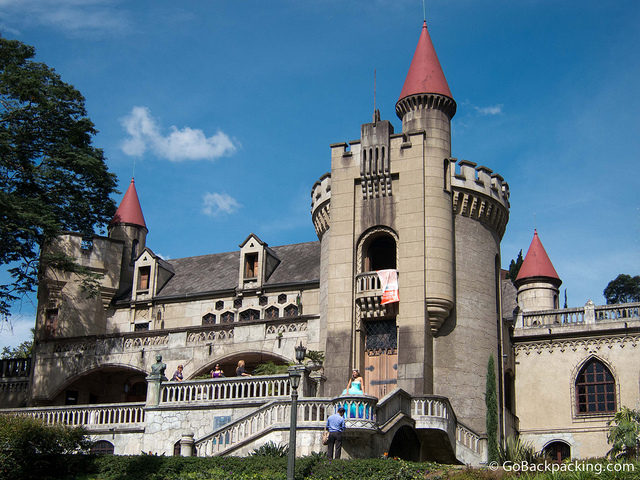 This is a must see, the Medellin Castle, a place that you can attend with family and friends, this place looks in great shape even though his first resident lived there until 1943 when the industrialist Diego Echavarría Misas bought the castle for his family. He donated the castle as a museum in 1971. The museum has gardens, libraries, banquet and concert halls Nowadays you can go and visit the museum, it is even possible to host events there such as weddings and birthday parties. El Poblado has the highest level of education in the city with several private and government-owned schools and colleges such as EAFIT University which is located on Las Vegas Avenue and has a high reputation nationally and internationally. Many foreigners attend this university because it offers many exchange options with other universities abroad, it offers Spanish programs for non-Spanish speaking students that want to learn the language. The University was established in 1960 as a college for administrative business, finance and industrial formation for national development. In 2004 it was declared by the same administration as “Park University” as an ecological proposal for the city. El Poblado offers a huge variety of places to stay. Weather you are buying a place or staying at a Hotel or Hostel, there are many places to pick from. El Poblado is a great place for shopping with its huge malls like El Tesoro which has high end stores for huge brands like Rolex, Apple and many others, or the Santafe Mall with its 5 stories full of stores. If you looking to watch the football or baseball game, Hooters or Patrick’s Irish Pub is highly recommended . Many foreigners like to attend this kind of places during game night and enjoy a few beers while watching the big screen tv’s, you can find many different types of imported beer brands at this locations which makes it a tourist destination to those that like to taste different and more exclusive flavors. El Poblado is also an excellent place to live. 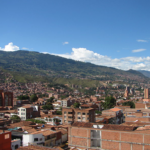 If you have or are planning to get a Medellin Apartment, then El Poblado might be the best choice for you. Everything is pretty much walking distance, it is safe and beautiful, one cannot ask for more.